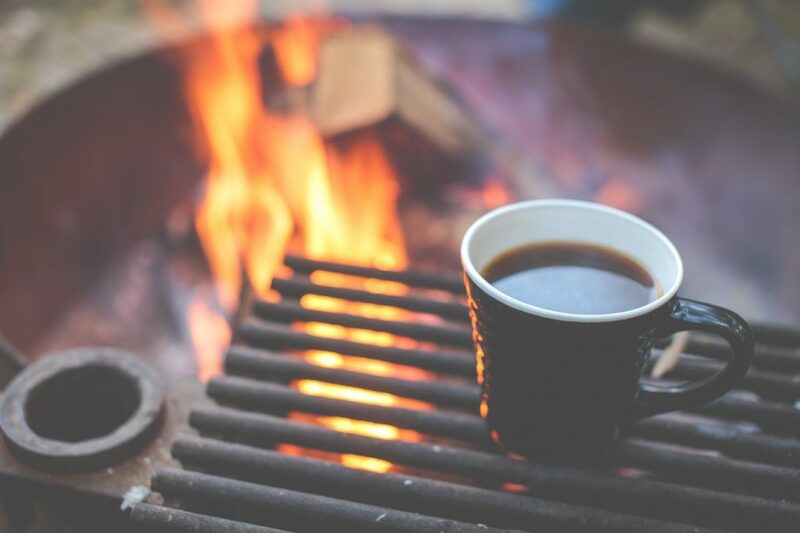 Camping in Singapore has grown in popularity and after spending a night in the open, we sing the praises of anything that wakes us up to the sound of nature, for free! The better the preparation, the more enjoyable the experience. Here are some pointers to know before you start stuffing your backpack. East Coast Park, West Coast Park and Pasir Ris Park require a permit if you intend to pitch a tent. Apply for one here or at any AXS station. We recommend booking at least 3 days in advance. Do note the Terms and Conditions during application! For Pulau Hantu Besar camping is free, but you will need to obtain a permit from Sentosa. 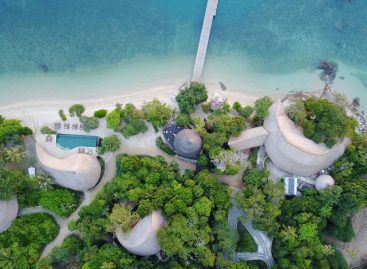 Contact the Southern Islands Management (administrator@sentosa.com.sg) to apply for a permit with all the standard details like your name, contact number, dates intended to camp and the number of campers. You will need to provide at least 7 days’ notice. 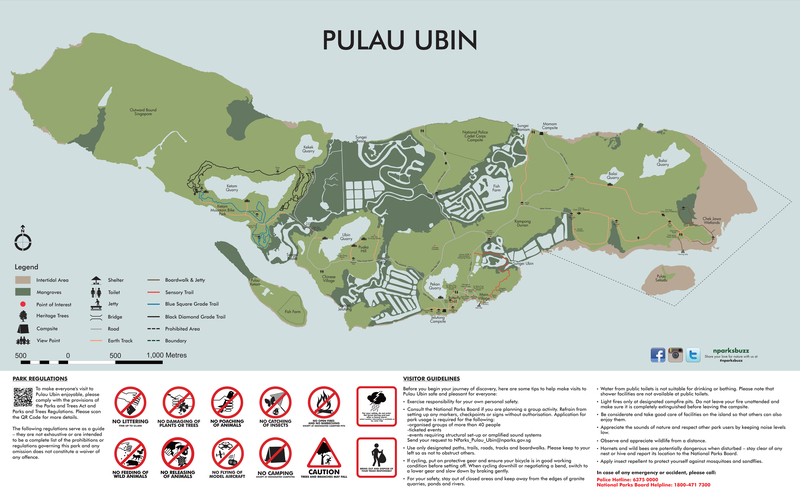 Camping at Pulau Ubin doesn’t require a permit. The permit counts the number of days your tent is pitched, not the number of nights you stay over. For example- if you are camping from Monday to Tuesday, you need to apply for a two day permit. If a member of your camping party doesn’t have a Singapore NRIC, drop an email to Nparks at least 2 weeks in advance. They will follow up with further instructions. You can camp on Singapore public holidays at all NParks. Here’s a brief list of essentials to take with for your Singapore camping expedition. A tent. Winds can be strong, so be sure to bring metal stakes to secure your temporary home to the ground. If your tent isn’t waterproof, we also advise bringing a rain fly in case of bad weather. We love this tent from Suisse Sport. If you prefer not to purchase one, rent a camping tent in Singapore at Camp Kaki, which has a variety of camping equipment. The Camp Company is another good place for tentage rental in Singapore. A sleeping bag, camping mat or bed sheet. In our warm climate, we recommend a thin sleeping bag with minimal padding. Don’t worry too much about comfort, the grass makes a surprisingly comfortable mattress! If you prefer to sleep uncovered, a foam mat or a bed sheet would suffice. Although if you prefer being as close to nature as possible, feel free to sleep right on the floor of your tent! A portable light source and charger. This light also keeps the bugs away! And don’t forget the extra batteries or portable phone charger. You can also use the portable charger if your phone decides to run out of battery during the night. A headlamp will also do. Speakers. A little ambient music made all the difference. Try this small, but decent bluetooth speaker. Insect repellent or repellent patches. Self explanatory, right? Wet wipes are something that will always come in handy. They are great for a quick clean or if you’re feeling sticky. Extra tissue or toilet paper. It may run out in the available toilets. Food, snacks and drinking water. The food choice will be up to you from a simple sandwich to a full-on BBQ. But remember to pack light for less of a struggle. The snacks will come in handy in case of any midnight cravings! And always bring more water than you think you may need. You never know when you’ll need to hydrate. Better yet, bring some coconut water to stay hydrated for longer. Disposable cutlery and crockery and fire starters. There’s no use in cooking a meal if you have nothing to eat the food with. And there’s absolutely nothing worse than getting prepared only to find that you have no lighter! Trash bags and ziplock bags. It’s always good to take care of the environment, so clean up after yourselves. Packing away your food waste will also keep the stray dogs at bay. Use ziplocks and tupperware to store leftovers and to keep valuables safe from condensation and water at night. A jacket. Yes Singapore is constantly warm, but a warm jacket is always a good idea in case the forecast is wrong. Don’t want to rough, but more of a luxury camping kinda person, then check out these top destinations for glamping in Asia. Or stay overwater in paradise with a suspended villa over the ocean. Thrill seekers will love these epic birthday ideas around the world. Read on to find out where you can camp in nature, for free with these camping spots in Singapore! Pasir Ris Park made us feel like we were out of the country- enjoying a merry but relaxed holiday. We pitched our tent in the midst of multiple, towering palm trees. The usual heat was beaten by constant winds from the sea, though it did require our temporary home to be fastened with metal stakes. A variety of eateries and convenience stores are available at nearby mall Downtown East. We loved ordering takeout from The Basil Inn for dinner, their authentic Thai dishes were perfect to eat by the beach. We headed over to Asli Village Food Court early the next morning for a satisfying breakfast. Lucky for us, they open at 8am daily! 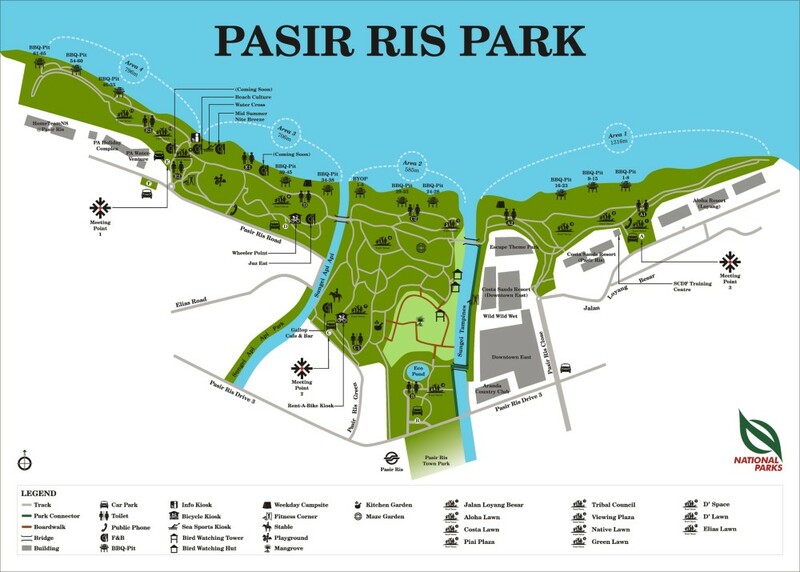 With exciting activities like cycling and watersports available, Pasir Ris Park does get crowded on the weekends. A definite must-see is the preserved six-hectare mangrove forest and the three storey bird watching tower, both unique to Pasir Ris Park. Although less peaceful on the weekends, the sound of picnicking families and the smell of barbeque complimented the tropical energy. If you’re looking for adventure in Singapore, we’ve got a list of adrenaline pumping activities for you to try! Or you can take the day to yourself with these yoga or meditation classes. Or have your very own spa day. *Parkland Green is now open! If you prefer to be closer to bicycle rental shops and general entertainment, we recommend applying for a permit at Area D. The abundance of tents almost creates a community- make sure you get your permit extra early! If you’re after peace and quiet however, Area G is for you. Located almost at the end of East Coast Park, we heard nothing more than waves hitting the shore. Whichever campsite you choose, stopping at East Coast Lagoon Food Village is a must! This hawker heaven will never fail you with its honest selection of Singapore’s best. Must haves: Orh luak (fried oysters with egg) from Song Kee and BBQ pork noodle from Hwa Kee! 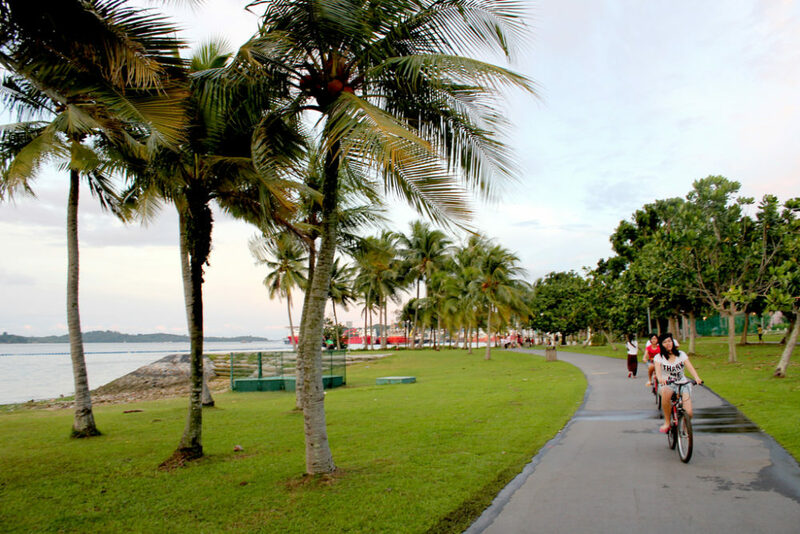 Tip: Alternate Route – Behind Fairprice Finest at Marine Parade Promenade there is an underpass that leads you right into Parkland Green! 100 Things to do in Singapore! If you’re new to the Little Red Dot, or you’re just a local looking for something different to do, read out article on 100+ things to do in Singapore for the best guide out there! Click here for the article. Easily the most fuss free of the lot, camping at Pulau Ubin is perfect for spontaneous getaways. $3 gets you a one way ride to and from Changi Ferry Point to Pulau Ubin- 24 hours a day. Each boat waits for an estimated 12 passengers before departing, unless you’re willing to pay the full fee of $36. With no camping permit required, there were tents galore! Head early for a scenic spot on either Jelutong or Mamam beach. If you’re staying overnight, drop by the Pulau Ubin Police Post to give them a heads up- they will look out for you. If you’re camping in a group larger than 20, drop Nparks an email to ensure there’s room for everyone. Cycling was our choice of transport, just $5 and no regrets. There are many rental shops available, we recommend getting a bicycle with a basket to put your bag in. Tip: Remember to test the bike for a couple of minutes before setting off! You don’t want to discover a loose gear in the middle of the island. Be sure to visit Chek Jawa Wetlands, an ecosystem consisting of six major habitats. Many ecosystems are visible at tides 0.5 metres and under, so do refer to this Tide table to ensure you catch them at its clearest. Don’t be afraid to go off the beaten track but be wary of wild boars and swinging monkeys. As long as you keep your food in your bags and leave them undisturbed, you’re safe. As there are steep slopes around the island, do pay attention to signs warning you of various dangers. 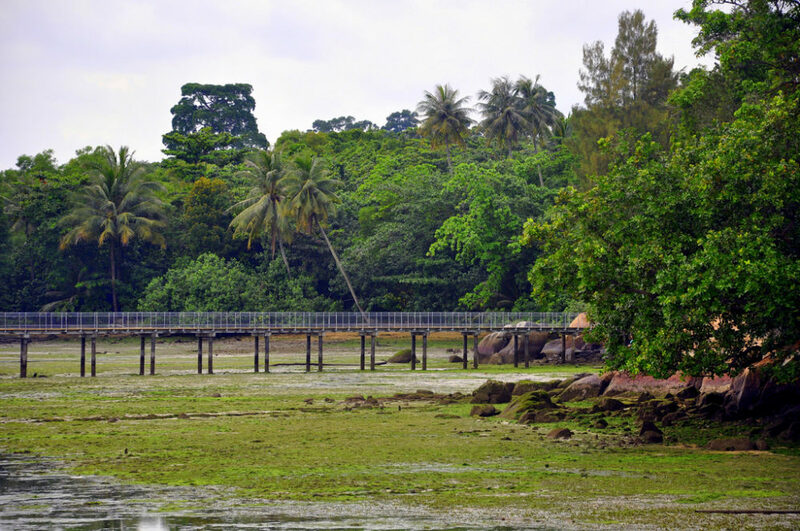 The Pulau Ubin Tree Trail is worth a try, before enjoying dinner at one of the family restaurants near the dock. Cheong Lian Yuen served deliciously fresh food at reasonable prices, we left extremely satisfied. If you’re heading to the mainland, Changi Village Market and Food Centre is a 3 minute walk away, chock full of local fare! Remember to stock up on drinking water as tap water on Pulau Ubin is non-potable. During the day, snacks and bottled water are available for purchase in town. 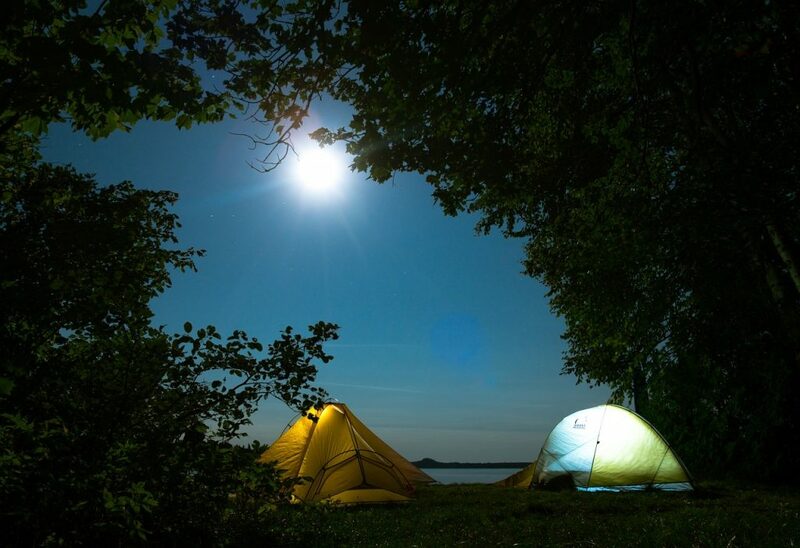 Be sure to head back to your campsite before dark as there are no street lights to guide your way after sunset. Shelters and toilets are available. 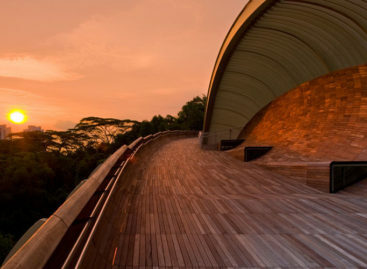 If beaches are your thing, you’d be interested to know these 10 unknown facts about Sentosa! The sounds of play ring clear at West Coast Park, which is no surprise with its gleefully large playground. Camping is a pleasure on the slightly hilly Area 3, sleeping amongst the tall trees that mimic the look of a forest. Walk a little further to see the marks of fishermen on the shore, an interesting contrast to the tall construction sites in the distance. Mcdonald’s would be your closest source of food in West Coast Park, but don’t fret! There are more options available across the West Coast highway, definitely within walking distance. Al amaan Restaurant serves fantastic Indian food, and famous Fei Fei Wanton Mee is just a couple doors down. Tip: West Coast Park was one of our favourite places to catch the sunset! Yes, the name translates to ‘island of ghosts’ in Malay, but if you’re not too superstitious, it’s a great place to pitch your tent for the night. Camping on Pulau Hantu Besar is most probably the most rugged camping experience you’ll get in Singapore. 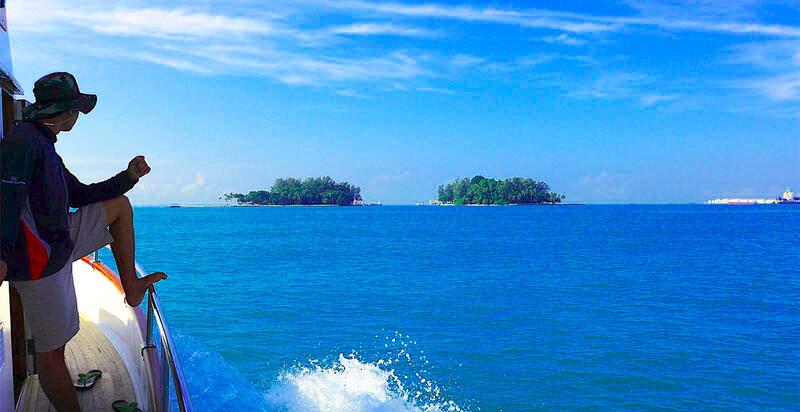 It’s on a private island and away from the city, so you’ll most likely be all on your lonesome. As it’s an isolated private island, there are no convenience stores, so you’ll have to bring all of your own bites for your night away. Once the sun sets and the stars come out, you’ll be embraced by the silence that only a secluded destination can provide. Wake up to your very own white sand beach and jump in the water for a swim and a snorkel! Divers can also take a dip and see a range or corals and sealife. Contact the Hantu Bloggers if you’d like more information on diving at Hantu. You’ll be pleasantly surprised with what you can see in the waters just off Hantu. The island actually consists of two separate islets, Hantu Kecil and Hantu Besar, meaning little ghost and big ghost respectively. You can take a stroll from one island to the other at low tide, but make sure you’re on the correct islet when the tide comes up. Both Hantu Kecil and Hantu Besar: jetty, shelters and picnic areas. Hantu Besar only: toilets with fresh water, lagoons where you can swim. There is no regular ferry, but you can organise a fast work boat at West Coast Pier or Marina South Pier. The prices will fluctuate depending on the diesel rates and availability. Expect to pay any upwards of SG$40/pax. Note to foreigners, you will need to go through Immigration Control at West Coast Pier to get to the boat. Only IC (Singaporeans) and passports with FIN cards are allowed. No other forms of photo ID will be accepted. Singaporean residents with kids will need to bring their buscards. We thought we’d give Sister’s Islands a mention as a place that used to be a fun spot to have a picnic and overnight camping in Singapore. To the best of our knowledge, overnight camping ceased in 2015 and there are reviews on TripAdvisor stating that the monkeys on the island have become quite aggressive, even snatching bags from visitors. The numbers have also grown to around 50. We have not been ourselves recently but have heard that the diving is quite nice, even though the murky waters allow for about 1.5m depth in the 2 diving trails routed out by NParks. 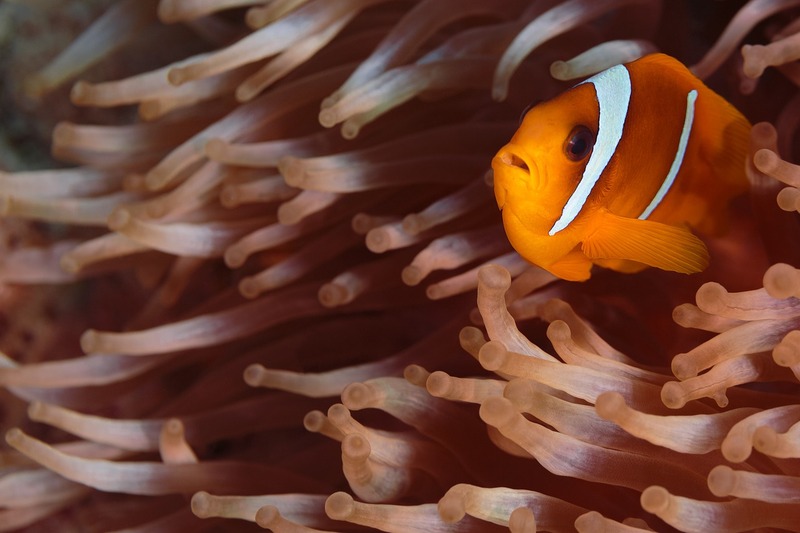 You will have to go slower, but that does mean you get to look longer at the spectacular underwater biodiversity. Divers must be PADI certified and permits must be obtained. It is the same method as Hantu. Please read the above section for more information. 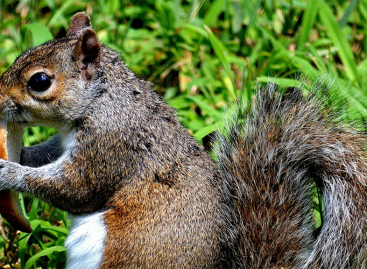 For more information and ideas on outdoor activities in Singapore, the Sparks app is a great tool. It provides updates on various parks and activities, with features aimed to enhance your day in the sun. We took full advantage of their intriguing list of mobile trails, free of charge! Most importantly, remember to clear any rubbish at the end of your camping trip. Leave nothing but footprints for the next happy camper!